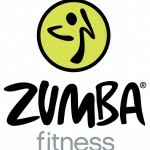 Mrs Siaron Moore runs a Zumba class at St John’s Primary School in Sevenoaks every Friday morning. £5 entitles you to what looks to be (from the safety of the office) a full hour’s Latin inspired dance/aerobic work out! Parents and local community welcome!